This is a scalable context timeline. It contains events related to the event October 9, 2003 or Shortly After: 9/11 Commission Executive Director Zelikow Recused from Some Aspects of Investigation due to White House Links. You can narrow or broaden the context of this timeline by adjusting the zoom level. The lower the scale, the more relevant the items on average will be, while the higher the scale, the less relevant the items, on average, will be. Counterterrorism “tsar” Richard Clarke submits a comprehensive plan to deal with al-Qaeda within days of President Bush’s inauguration (see January 25, 2001). He wants to meet with Bush directly to discuss it with him, but he is unable to do so before 9/11. Clarke will later recall, “I asked for a meeting with the president several times beginning, in fact, before [National Security Adviser] Rice even took office in the transition briefing. I said I have given this briefing to the vice president, I’ve given it to the secretary of state, I’ve given it now to you, I would like to give it to the president. And what I was told was I could brief the president on terrorism after the policy development process had been completed.” He does have one meeting with Bush before 9/11, but only to discuss cyber security because Clarke is planning to quit his current job to focus on that issue instead (see June 2001). When asked why he didn’t bring up al-Qaeda at that meeting, Clarke will reply, “Because I had been told by Dr. Rice and her deputy that this was a briefing on countering the cyber threats and not on al-Qaeda and that I would have my opportunity on al-Qaeda if I just held on, eventually they would get to it, probably in September.” [ABC News, 4/8/2004] The Bush administration had downgraded Clarke’s position in early January 2001 and he was no longer able to send memos directly to the president as he could during the Clinton administration (see January 3, 2001). The 9/11 Commission hires Philip Zelikow for the key position of executive director, the person actually in charge of the commission’s day-to-day affairs. Zelikow was recommended by Commissioner Slade Gorton, who had worked with Zelikow on an electoral reform commission after the disputed presidential election in 2000. Zelikow, the director of that commission, has powerful friends in Washington; even former president Jimmy Carter praises him. However, according to author Philip Shenon, the staff on the electoral reform commission think he is “arrogant and secretive,” and believe his success as commission director rested on “his ability to serve the needs—and stroke the egos” of the commissioners. Plans for Commission - Zelikow impresses commission Chairman Tom Kean by saying that he wants the panel’s final report to be written for the general public, in a more readable style than most government documents. After about 20 candidates have been considered, Kean decides that Zelikow is the best choice for the position. 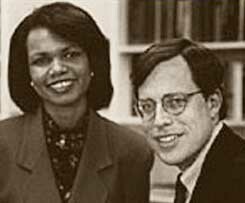 Conflict of Interests - Zelikow has a conflict of interests, as he co-authored a book with National Security Adviser Condoleezza Rice (see 1995) and also served on a special White House intelligence advisory board. Both these facts are listed on his résumé. Zelikow will say that he also mentioned his work with Rice, whom he served on the Bush administration transition team (see January 2001), to Kean and Vice-chairman Lee Hamilton in telephone conversations with them. However, Kean will later say he “wasn’t sure” if he knew of Zelikow’s work on the transition team at the time he was hired, and Hamilton will say that he thought he knew Zelikow had worked on the transition, but did not know the details of what he did. White House Chief of Staff Andrew Card will be extremely surprised by Zelikow’s appointment, because of his personality and the conflicts of interest, or at least the appearance of them. The 9/11 Family Steering Committee, an organization formed to represent some of the interests of the relatives of victims of the 9/11 attacks, writes a letter to 9/11 Commission Chairman Tom Kean and Vice Chairman Lee Hamilton about Philip Zelikow, the Commission’s executive director. The committee has lost its trust in Zelikow, because it has gradually found out more and more about him and his links to National Security Adviser Condoleezza Rice, as well as others the Commission is supposed to be investigating (see 1995, September 20, 2002, and September 16, 2003 or Shortly After). In addition, members of the committee have an extremely poor personal relationship with Zelikow, who they feel is dismissive of them and their concerns. The letter says that Kean and Hamilton should either force Zelikow to resign, or recuse himself from all the parts of the investigation linked to the National Security Council. Kean and Hamilton write back to the committee, saying they are aware of Zelikow’s ties to the administration, although it is unclear if they are aware of all of them at this point (see Shortly Before January 27, 2003). [Shenon, 2008, pp. 166-168] However, the Commission will later interview Zelikow about his role in counterterrorism before 9/11 (see October 8, 2003) and he will be recused from dealing with the Bush administration transition (see October 9, 2003 or Shortly After), on which he worked (see January 3, 2001). The 9/11 Commission interviews its own executive director, Philip Zelikow, over his role in counterterrorism affairs before 9/11 and his links to the Bush administration. 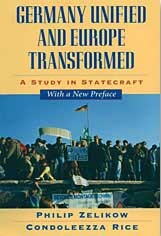 The interview occurs shortly after victims’ relatives call for Zelikow’s removal from sensitive parts of the Commission’s investigation (see October 3, 2003). Recusal - Following the interview, Zelikow will be recused from the Commission’s investigation of the Bush transition as well as interviews of senior Bush officials (see October 9, 2003 or Shortly After). 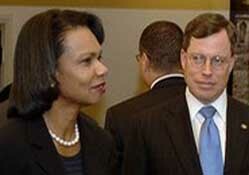 9/11 Commission Executive Director Philip Zelikow is recused from some parts of the Commission’s investigation, specifically its examination of the Bush transition, on which he worked (see January 3, 2001), and interviews of senior Bush aides, including his associate, National Security Adviser Condoleezza Rice (see September 2003). This follows a complaint by victims’ relatives about Zelikow’s conflicts of interest (see October 3, 2003) and his interview by one of his own subordinates under oath (see October 8, 2003). Only Recused from Some Aspects - The subordinate, the Commission’s counsel Daniel Marcus, recommended that, due to the conflicts, Zelikow should be recused from the Commission’s work on the transition and anything to do with the National Security Council (NSC). This is what the families wanted and, in the words of author Philip Shenon, “would have effectively ended Zelikow’s involvement in the parts of the investigation that were most important to him.” Zelikow will later say this recusal proposal “would have had the prompt and foreseeable effect of forcing my resignation.” However, Commission Chairman Tom Kean and Vice Chairman Lee Hamilton water the proposal down, allowing Zelikow to continue to work on most aspects of the NSC investigation. 9/11 Commissioner Bob Kerrey threatens to resign from the commission after discovering a memo written by the commission’s Executive Director Philip Zelikow outlining Zelikow’s ties to National Security Adviser Condoleezza Rice (see 1995). Kerrey, who was recently appointed to the commission (see December 9, 2003), makes this discovery on his first day at the commission’s offices.